Want to slow the signs of aging and actually look the way you feel without having to go under the scalpel? You can with Botox® and or Dysport® injections and now being offered at Laserlicious! Having wrinkles and lines can reduce your self-esteem and allow you to feel less confident about your appearance. This can be fixed with cosmetic wrinkle injection. 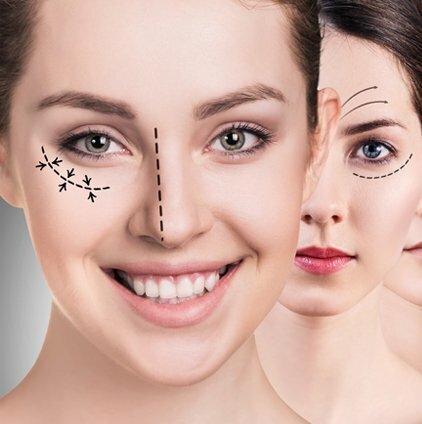 These lines can be removed and reduced when using Botox® and or Dysport®. There are common myths and misconceptions about the procedure that guide people to believe that they will look frozen or surprised. It simply works by relaxing the targeted muscle injected so that the movement that creates the lines and wrinkles are reduced or eliminated. It’s a painless cost effective way to have rejuvenated skin that radiates beauty. Exact wrinkles show up after constant contractions of your facial muscles over time. This happens steadily every time you smile, laugh or frown. You may have earned every one of those laugh lines, but it doesn’t mean you have to show them anymore. Feeling embarrassed when your shirt is soaked from excessive sweating and you are ruining your clothes due to the stains that are left from the excessive sweating?Are your hands and feet also very clammy and making you uncomfortable? Hyperhidrosis can be easily solved by injecting Botox® and or Dysport® into the underarms, hands or feet. This works by controlling the sweating by temporarily blocking the chemical signals from the nerves that stimulate the sweat glands, thereby preventing sweat from being produced in the treatment area. Contact us today to book your complimentary consultation with our Registered Nurse and find out if Cosmetic Wrinkle Injections is for you! Add that plumpness and volume that sings vibrant radiating beauty! Fillers can put fullness and volume back into your life that has been taken away over the years. Rejuvenating your skin and giving you that vibrant, fresh appearance. As we age our skin can become loose, dehydrated and wrinkled; fillers can plump up the skin that has lost its elasticity and volume and reduce the look of stress from our faces. 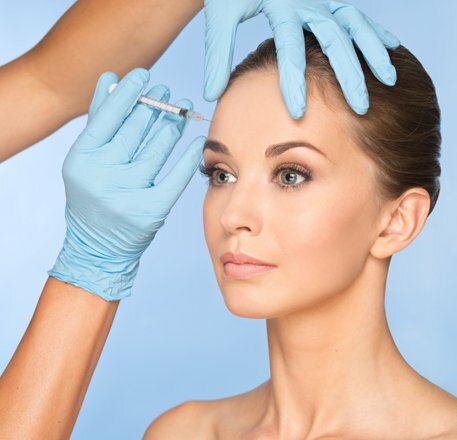 Dermal fillers are made of Hyaluronic acid. Hyaluronic acid is naturally found in the body, and it secures moisture and creates fullness giving you youthful skin naturally. Hyaluronic acid is extremely beneficial as it plays a critical role in the production of collagen, the most abundant protein in the body. Higher levels of collagen and hyaluronic acid are related to skin that is more supple and resistant to wrinkles and fine lines. With filler treatments you can instantly notice the difference. It works by adding volume and plumpness under the skin to reduce folds, wrinkles, and fine lines, as well as giving contour to the face. Contact us today to book your complimentary consultation with our Registered Nurse and see if Dermal Fillers is the right fit for you! Fine lines, wrinkles, and sagging skin can serve as unwelcome reminders of the aging process. Now women and men interested in skin rejuvenation have a new option: platelet-rich plasma (PRP) treatments. 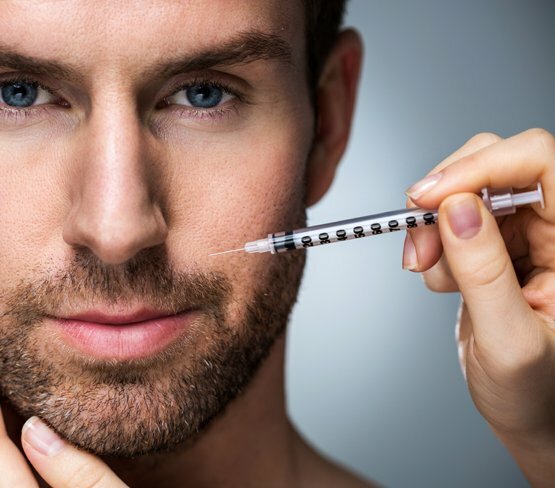 Sometimes called a “vampire facelift”, this revolutionary new technology can rejuvenate your skin by improving its texture and correcting concerns such as nasolabial folds, wrinkles, facial lines, acne scars. PRP treatments can dramatically improve your appearance without the scalple. PRP treatments utilizes enriched plasma to provide an optimal treatment for clients with varying skin types and cosmetic goals. Because this treatment stimulates collagen, the improvement occurs gradually and subtly, enhancing your skin’s health naturally. What’s different about this treatment: it utilizes your own blood to restore and repair both the surface and deeper layers of your skin. By stimulating the structural integrity of your skin, this treatment naturally, safely, and effectively encourages new tissue and collagen growth. PRP is not just for the face, other areas treated are the neck and upper chest, it can improve stretch marks and is known to promote hair rejuvenation. Remember – Everyone deserves to get treatments done, that’s why offer easy payment plans for all our clients to enjoy the benefits of our services. Rana and her team are simply a delight. I've been to few laser places before and walked out with false information/ treatments. Rana rescued me, shes such a positive person. They always have amazing packages to choose from. These ladies are very result oriented. I've been going to Rana and all my laser treatment have had fantastic results. I'm def going to keep coming back for one thing or another. Thank you!!! Janine was supportive and very informative on my first visit. She distracted me to no end, especially when I was a bit panicked. The laser treatments have been very effective. I am going to be attending my 3rd session and my hair is almost completely gone (full Brazilian, under arms and upper lip). I would recommend Laserlicious, especially Janine. Excellent customer service. Marie is friendly and willing to listen to your concerns and is very good at what she does. Had my first treatment today and I have to say the staff are super friendly and make you feel at ease. They answered all my questions first during the consultation and then again during the procedure. The place is very clean and the room was playing relaxing music and had an aromatherapy machine they also offered me water which I thought was nice. The entire season relaxing. Well clean spot love the staffs they friendly and kind and thanks to Marie N. She nice and carry on conversation while doing treatment so you wouldn’t feel the pain 🙂 would recommend laserlicious to my friends and family great treatment. I had an amazing experience at Laserlicious. Thank you so much Rana for the life changing treatment. The laser treatments worked wonderfully. Rana was very professional during the treatments. The staffs are very informative & welcoming. Very satisfied with service and more people should know about it. I've received two different services at Laserlicious: laser hair removal on my back, and a fire & ice facial. I have to say that the staff at Laserlicious are so knowledgable and professional in their work. I was very nervous going in for laser hair removal, but Marie walked me through the entire procedure, step by step. Laserlicious uses Soprano Ice technology for their laser hair removal, so it was virtually painless! The second service I've received (the facial) was so invigorating! The facials at Laserlicious use active ingredients, so you keep seeing results in the days after your visit. I had the facial done right before Christmas, so I had glowing skin for the holidays! I would 100% recommend Laserlicious! If you want to see real results and dramatic improvement you should visit Laserlicious medical spa. Besides that its a beautiful high end med-spa, staff is very welcoming, informative and professional and results are guaranteed!!! I never ever take the time to write a review but I've had such a great experience here at Laserlicious that they deserve it. I've been seeing the ladies at Laserlicious for years for laser hair removal and to purchase the skin care products that they sell. I can honestly say that I've never had a bad experience. Rana is the heart and soul of the company and she does an absolutely incredible job. I've always been greeted with a smile from the moment I walk in and been given her full undivided attention. She's thorough and very detailed in her approach. She's kind and empathetic about any pain or anxiety. She's always provided her full and honest opinion whenever I've asked a question. The ladies are always smiling, laughing and so uplifting to be around and they truly make each person feel at home and at ease. They even have beautiful touches to make clients feel at ease, like décor, music, aromatherapy and more. These ladies see so many clients but they always seem to remember every detail I share with them about my life which shows how much they care about their clients. I bounced around from so many offices before FINALLY finding this one and I will never go anywhere else! I even drive 4 hours from school on the weekends just to attend the appointments because of how incredible the customer service here is, how impeccably clean the office is, how organized and professional the staff are and how much they make me feel like I'm among family. Thank you Laserlicious team! !